Well I needed to add a little attitude to the brakes, so, since the pads looked good, I figured I'd take advantage of the red paint I originally bought for the engine and paint the brake pads. Well, they look pretty good. 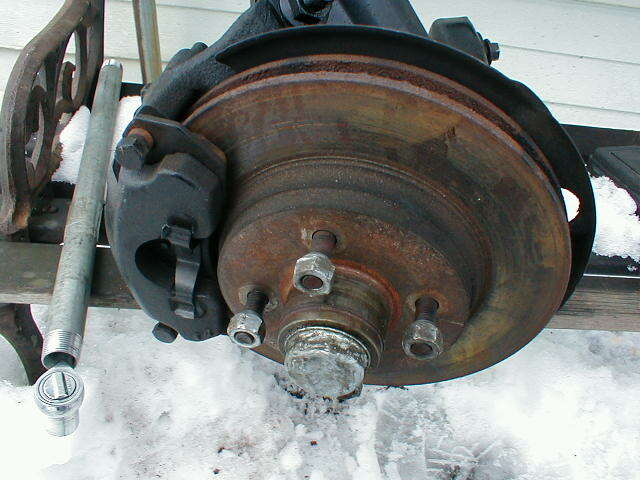 Brembo brakes? I don't think so! 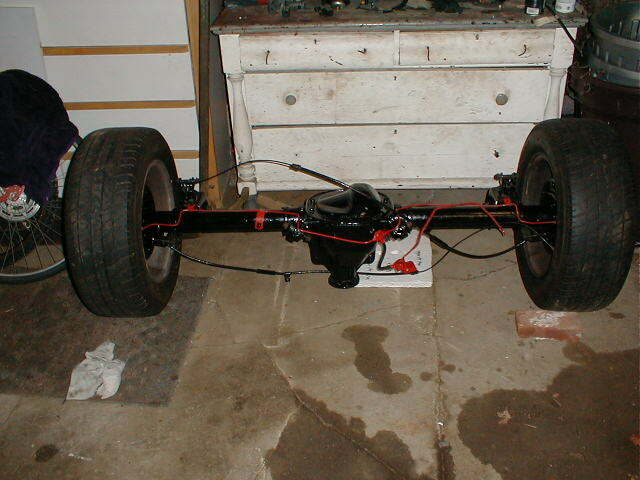 here is the rear axle wire brushed and sprayed with por-15 metal prep Rear axle painted with por-15, brake lines and brackets spray painted red for contrast. I highly recommend por-15 because it is easy to prep for and apply and extremely tough. 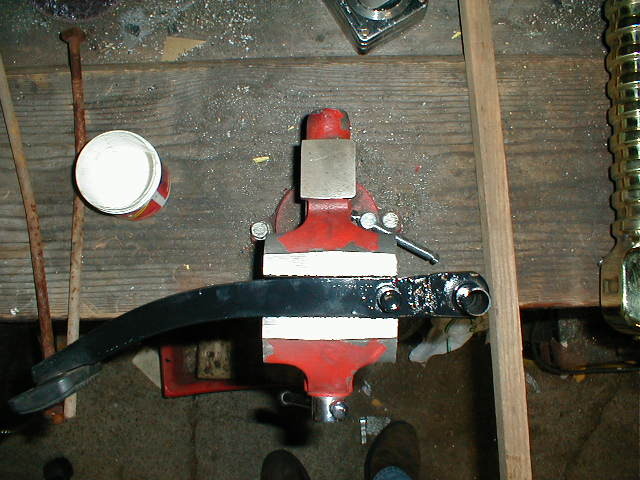 Brake pedal before cut. I marked out a 1.5" section. 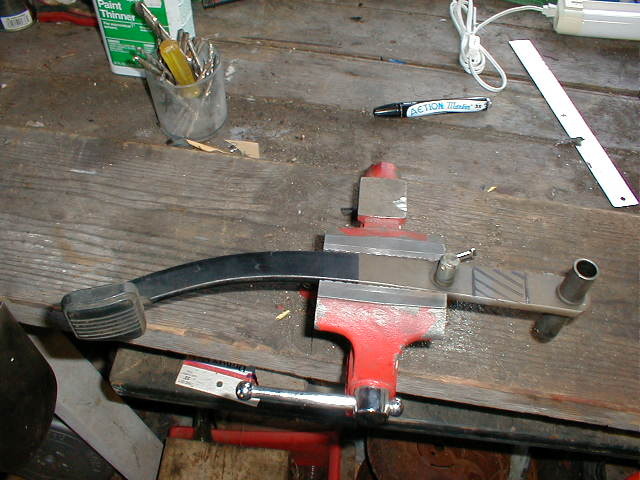 Brake pedal after cut and weld. 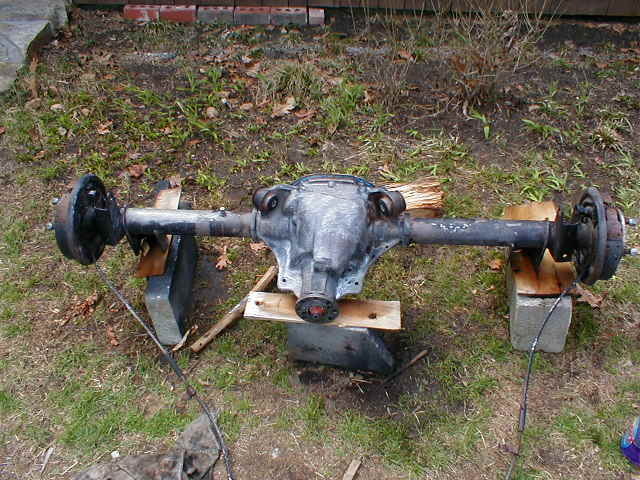 Its hard to see my weld because of the paint but it is very strong. Maybe its better that you can't see it because it is an ugly weld( heh, I've only been welding for a year and haven't picked up that touch yet!). But rest assured, it is also very strong (i tested it). The ceramic? 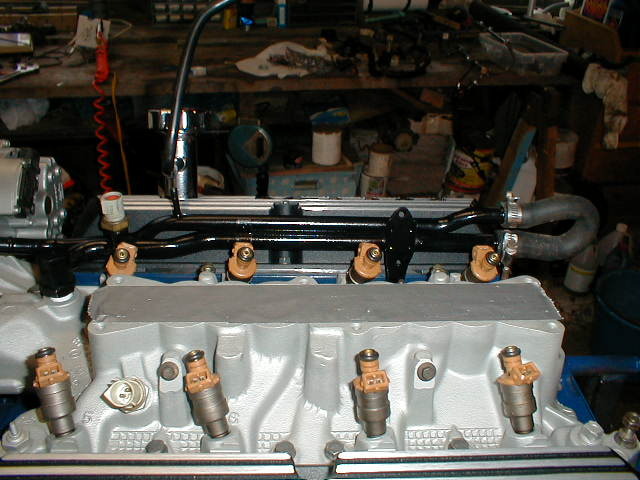 coating on these Mac headers didn't look to good out of the donor and had chipped and rusted in many locations. 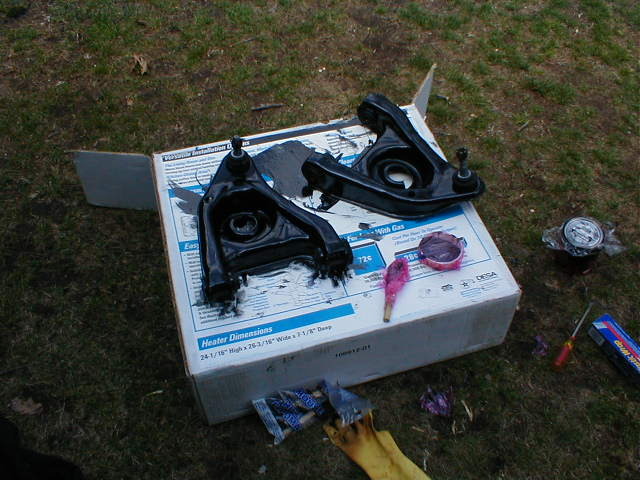 So, I cleaned them up, sanded them, painted the rust with rust convert, and painted them with black Barbeque paint. In my opinion, they look nicer black than the original whitish color. 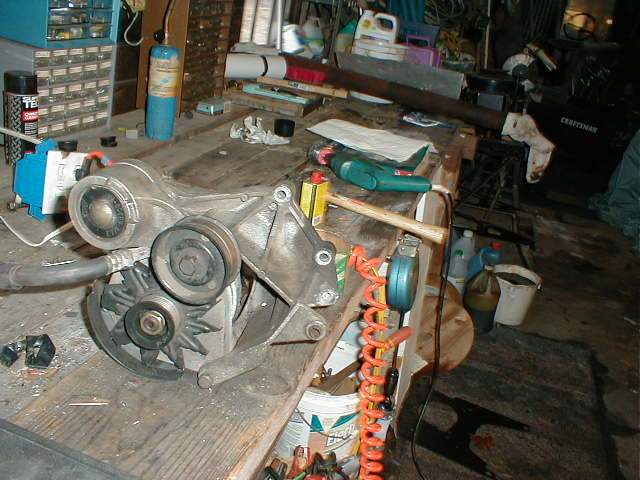 Oh yeh, I cleaned out the insides with carb cleaner and a pipe brush to make sure they flowed nicely. 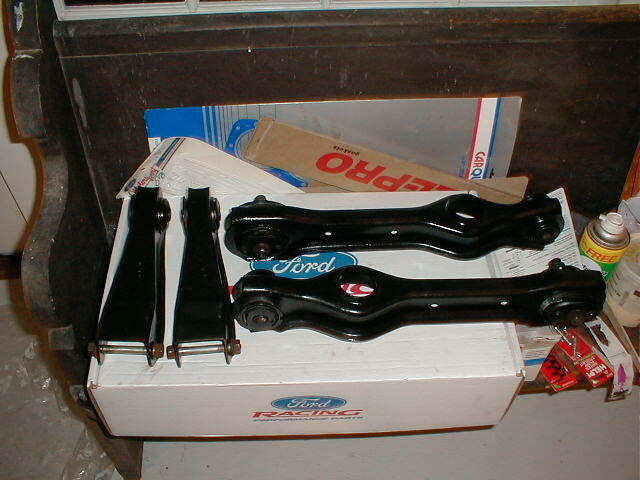 Like my set of NEW FMS rear control arms? Just kidding! These are the refinished donor ones. 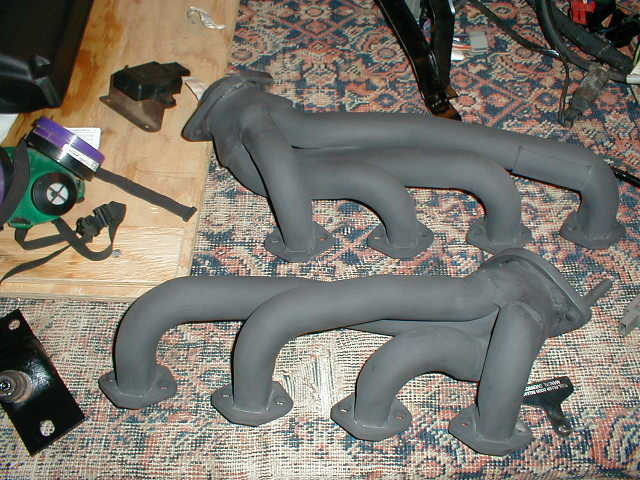 Sandblasted and painted black with Krylon. Sweet! 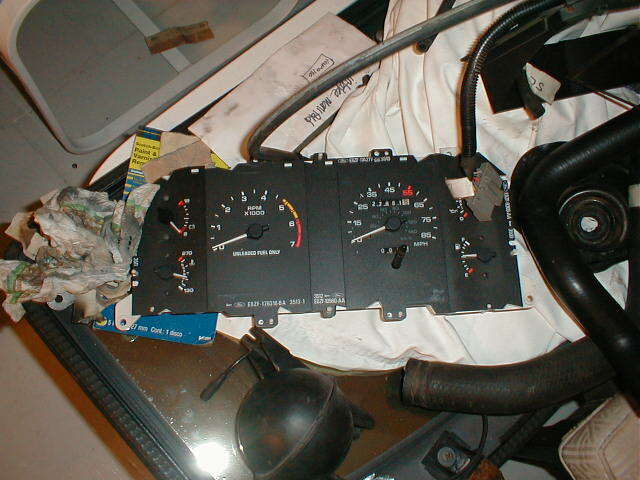 85 mph top speed? I don't think so. This will have to be replaced. Still looking for a nice 140 mph! Anyone? 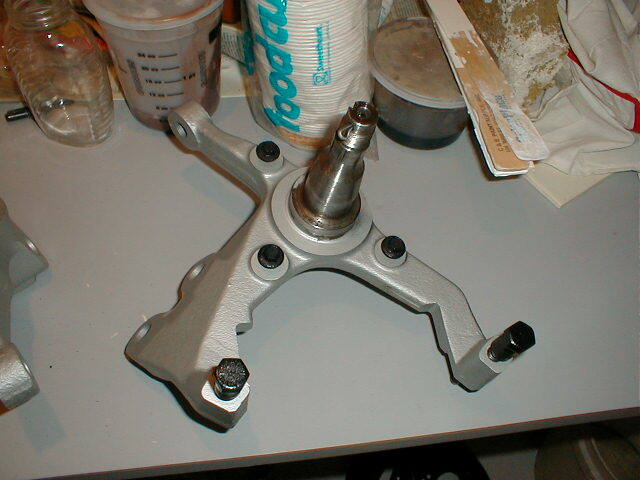 Spindles were sandblasted and painted cast coat aluminum. 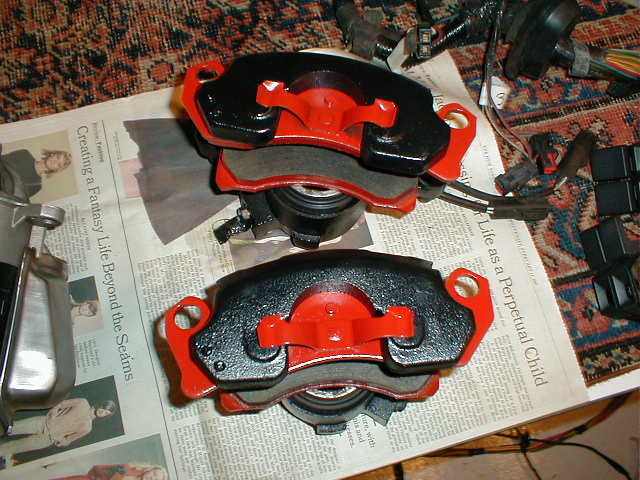 Front Lower control arms painted with por-15. This stuff is great! and a little goes a very long way. Before Painting I cut a slot out of each one. I used a drill and a metal blade on a jig saw. Then filed them smooth. This was a VERY time consuming process. If you want to do it the easy way, find a friend with a plasma cutter. I'll post better pics soon... I'm a little worried about the ball joints because one is lower than the other and one is ripped. We'll see about replacement.